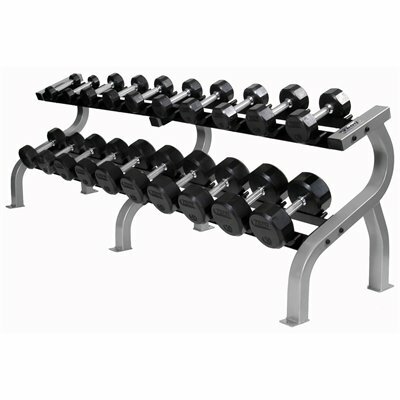 This set includes a pair each of 55-75lb Troy Iron Pro-Style Hammertone Dumbbells with Chrome Endcaps and Straight Chrome Handles in 5lb increments. Troy Iron Pro-Style Hammertone Dumbbells HFD-C offer a strong Hammertone paint finish designed to help resist chipping and flaking. HFD-C Dumbbells are made with Troy Barbell's highest precision machined weight plates to offer a perfectly flat surface and round shape. This creates a Pro-Style chrome dumbbell with plates that fit much better side by side and with no high or low areas from one plate to the next. 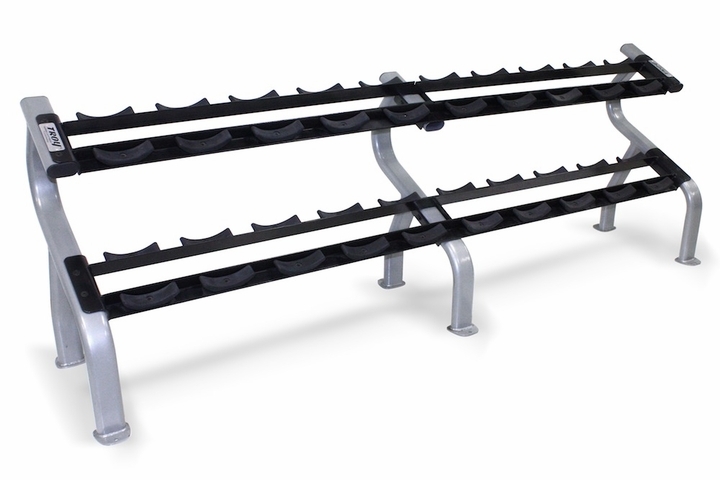 The end product is truly a professional grade dumbbell that enhances the look of any home or commercial gym. The plates are engineered to work specifically with Troy's chrome straight handles for the most precise fit. The dumbbell grips measure 27 mm in diameter and the gripping area is 4.75" long. Call 1-800-875-9145 to speak with one of our fitness advisors with any questions you may have about the Troy Iron Pro-Style Hammertone Dumbbell Set 55-75 HFD. 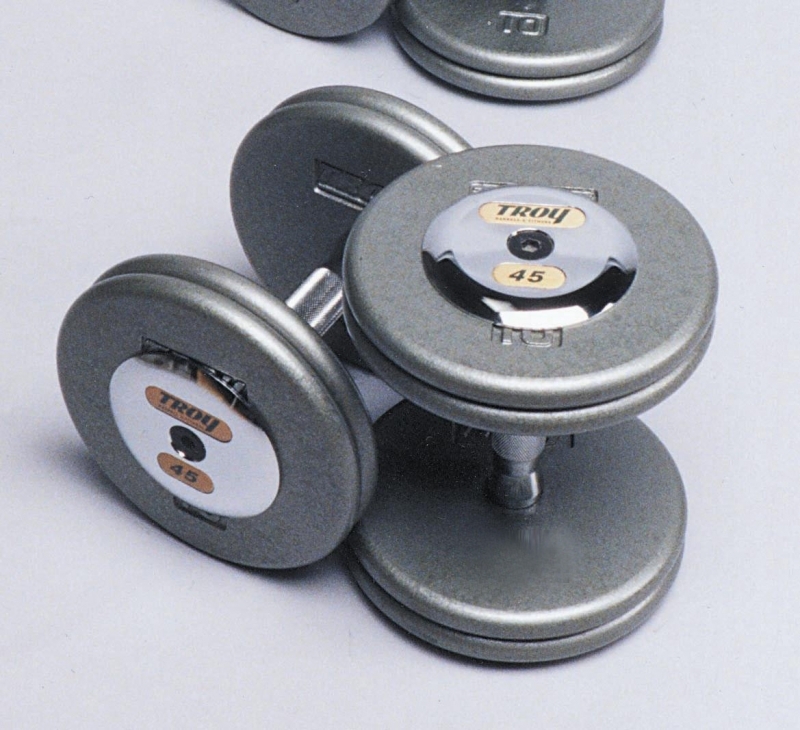 Don't wait order your Troy Iron Pro-Style Hammertone Dumbbell Set 55-75 HFD-C from FitnessZone.com today! Order your Troy Hammertone Iron Pro-Style Hammertone Dumbbell Set 55-75 HFD-C from FitnessZone.com today!